Good Morning to all Honeybees and Fans! This week we had David Archuleta in Texas performing at the Sun Bowl, but naughty CBS didn’t broadcast even one of his songs! How many e-mails did they receive questioning that producer’s decision! Humm…. A new song was covered, Don’t Stop Believin by Journey and David nailed it beautifully. His other songs were Zero Gravity, Crush, as well as the Anthem and God Bless America. Lots of polls need to be addressed with Musiqtone, Stadium of Fire, Idol Polls and TWBE. Please take a moment to vote on these polls as David deserves to come in first. Many fans have forgotten how important it is to get David’s name ranked higher on Google, Yahoo, and MSN and to win many of the polls and contests. It really only takes a few minutes and it will make a big difference on how David’s name keeps getting mentioned in the media. Thanks for your support! David’s 19th birthday was the big news this last week and it looked as if he had a grand time, and brother Daniel’s dog ripped out Totoro eyes! Bad doggie! Records sales were up and David is Seventeen Magazine’s #7 Heartthrob of the decade and J-14’s #6 Hottest stars of 2009! Congratulations! Hope you all had a Bright and Happy ring into 2010! Have a great week everyone! Stadium of Fire Online Poll: DAVID NEEDS YOU TO VOTE THIS WEEK! America’s Freedom Festival at Provo officially released today the final online poll for the Stadium of Fire’s “Vote the Voice” event. After aggressive grassroots and viral lobbying among thousands of fans, the community may now choose between David Archuleta, Taylor Swift, Carrie Underwood, Bon Jovi and Eric Dodge to become a potential performer in a future July 4 Stadium of Fire celebration. Fans must visit the Freedom Festival’s Facebook page to access a link to the new online ballot. Over 15,000 votes have been cast since Oct. 15 to narrow the list of favorite contenders to five. The new online poll of five names is comprised of leading nominees from the last two phases of the Freedom Festival’s “Vote the Voice” campaign—an ongoing vote held since September on the festival’s Twitter and Facebook pages. Apparently, David Archuleta fans dominated Twitter discussions about Vote the Voice. Their lobbying for the American Idol runner-up was so relentless, one of the largest David Archuleta fan pages on Twitter took notice and encouraged its thousands of followers to get involved. Members of the community should visit the Freedom Festival’s Facebook page at www.facebook.com/freedomfestival to learn more about how to vote for their favorite performers. Fans can also stay up to date with Vote the Voice on Twitter at www.twitter.com/freedmfestprovo. He may have only been the runner-up on American Idol in 2008, but David Archuleta won the real prize — the love and affection of millions of teen girls (and their moms). This consummate nice boy loves his family and still hasn’t been kissed — he’s waiting for the right girl! It’s no wonder we have a total Crush on this cutie! Another attraction at the Fan Fiesta this year was the opportunity to have an autograph signed by David Archuleta, last year’s runner-up on the television hit “American Idol.” The first 300 children and teenagers in line received an invitation onto the field for Archuleta’s halftime show at the game. Ashley Sepulveda, 13, waited in line with her sister, Amber Sepulveda, 17, for an hour and a half to meet Archuleta. The sisters were breathless with excitement and clutching their autographed pictures tightly, but they managed to say between squeals, “He is so amazing!” Their mother, Linda Hooper, 50, said that the Fabens family had come to the Fan Fiesta specifically for tickets to Archuleta’s show. David Archuleta, the very talented 19-year old pop crooner, once again wowed his fans during a half time performance at the Brut Sun Bowl Game between Oklahoma and Stanford on Thursday, December 31, 2009 in El Paso, Texas. Playing to a sold-out stadium crowd of 50,426 ticket holders brought Archuleta face-to-face with his largest audience ever, other than his television appearances on American Idol. The Sun Bowl’s stadium was filled to capacity and tickets for the game had been snapped up almost as soon as they were made available. This was only the third time in the stadium’s history that the venue has sold out since it was remodeled and expanded from 30,000 seats in 1983. More significantly, even in this tough economy, it was the first time in the stadium’s 76-year history that the game was sold out in advance of the actual game day. The ABC Television Network affiliate station, KVIA, Channel 7 in El Paso captured (for their news broadcasts) not only an excerpt of Archuleta performing the cover of Journey’s classic, “Don’t Stop Believin,” but followed with a brief interview and a video of the after-performance meet and greet with his loyal fans. For the half-time performance Archuleta also sang two other crowd-pleasers, his own composition, “Zero Gravity and “Crush” from his double platinum single. You know a bowl game has star power when former American Idol runner-up David Archuleta is snagged to perform at halftime. Season 7’s runner-up, David Archuleta, celebrated his birthday on December 28th. In the year and a half since the 2008 finale, David has released two albums and took part in five tours! Just six months after David’s run on American Idol, he released his self-titled debut album, which peaked at No. 2 on three different Billboard charts and was certified Gold. The album included his hit single “Crush” and his second single “A Little Too Not Over You” which David co-wrote. This October David released a holiday CD entitled Christmas from the Heart. The album includes 12 Christmas songs covered by David and one original song, “Melodies of Christmas,” that he co-wrote. The summer following the Season 7 competition David headed out on tour with the rest of the Top 10 for the American Idols LIVE! 2008 tour. Six months later he spent one month traveling the country on his solo tour. This summer (and part of fall), David joined Demi Lovato on a nationwide tour. And up until last week, David was performing shows across the nation on his “Christmas from the Heart” tour. These accomplishments, paired with David’s strong fan base, have earned the star a number of awards. In 2008, David won two Teen Choice Awards – one for Most Fanatic Fans and one for Best Smile. The following year, David won three Teen Choice Awards – one for Breakout Artist, another for Music: Love Song (for “Crush”), and a final award for Music Tour (for his tour with Demi Lovato). He also won the Music Rising Star ALMA Award in 2009. Hitting it big on the charts, David has collected four No. 1 hits on the Billboard charts and landed on Billboard’s Decade End and Year End lists which were released two weeks ago. With a new book on the horizon, Chords of Strength, and an album scheduled for a 2010 release, there are no signs of slowing down from this Idol alumnus. Nooo! My Brothers dog ripped Totoro’s eyes out! ALTNOY made 92 Pro-FM’s list of the top 92 songs of 2009, closing in at #35. This is beating out some Britney songs, Kanye, Katy Perry, Bieber, and a bunch of other people with super smash songs this (last…) year. 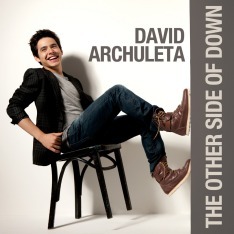 David makes two, count ’em TWO, appearances in the Radio Disney Top 50 of 2009. Miley Cyrus and David’s duet, “I Wanna Know You” comes in at #23. A Little Too Not Over You comes in at #35. Way to go David! 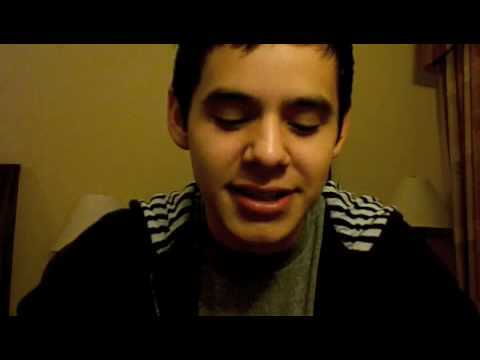 DavidArchie – Today I turn 19! Times flies!!! It’s been a great morning already! Thanks everyone for all your birthday wishes!!! DavidArchie – Went and watched Avatar with the family. Now that’sa movie that takes you on an adventure! DavidArchie – Had a great day spent with the family! Thanks again everyone for your birthday mssages! Have a good night! Nooo! My brother’s dog ripped totor’s eyes out! DavidArchie – Just finished an appointment at the ortho again. DavidArchie – Well time at home for the holidays was nice! Had a great time with the family! Texas, here I come. But I’ll be back soon Haha. DavidArchie – Strange how the year is almost over. Hoping it ends well! It’s been a good one though haha. Anyone happen to be in El Paso for the Sun Bowl? DavidArchie – Going to rehearse. It’s nice outside! Big differnece from freezing snowy Utah haha. I’ll be at the Fan Fiesta later today. DavidArchie – Had good Mexican lunch at Avila’s. Headed to the Fan Fiesta now! DavidArchie – At the fan fiesta! Jamming to Michael Jackson! DavidArchie – I love Meet the Robinsons. I watched it with my sisters last week. Good stuff lol. Random but it came into my mind. Good night! DavidArchie – Today’s New Years Eve! I’ll be performing at the Sun Bowl today! DavidArchie – Getting ready to go out and sing the National Anthem! DavidArchie – Man it’s not so warm out there lol. But finished singing the National Anthem and God Bless America! So cool having military there! DavidArchie – Had a fun time at the Sun Bowl! Thanks everyone at the Sun Bowl and El Paso for having me. Time to leave already though. DavidArchie – Gotta give a shout-out to @BryceAvery whose birthday’s today! DavidArchie – Made it safely to Dallas! Hanging with my cousin and aunt for New Year’s Eve. Had Indian food,and About to watch Sherlock Holmes. DavidArchie – Happy New Year! DavidArchie – First day of the year. Hanging with @TheRocketSummer. I spelled his name wrong yesterday lol. My bad Bryce. DavidArchie – It’s nice to spend time with family. Spent the morning with my aunt and cousin. Loving the sunny weather in Dallas. DavidArchie – Eating baleadas! Haven’t had one for a while! DavidArchie – No way! Blow Away by A fine Frenzy was just playing in the store haha. Love that song! DavidArchie – Oh hi again red eye. I haven’t seen you for a while. Check out David Archuleta showing off his birthday cake inside his home in Utah on Monday afternoon (December 28). The 19-year-old singer celebrated with his close friends and family today with a Cold Stone Creamery Strawberry Passion Cake. One of David’s friends customized his cake at the local Cold Stone store. 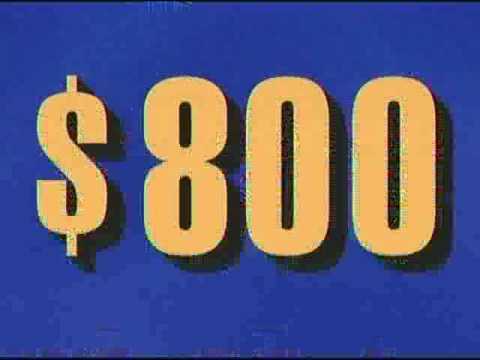 Jeopardy is America’s favorite quiz show, and David was the answer to one of their questions! We already brought to you J-14 most searched star of 2009 on j14.com and now it’s time for the ultimate poll — the hottest stars of 2009! Tens of thousands of you voted and here are your top 14 stars. David is #6 Go David!! We can’t thank iloveallaccess enough for those lovely meet and greets with David Archuleta. They truly made each one special and hope we will see them again for his next tour. Thank you! Get Your VIP Picture on a mug…or a mousepad…or a shirt! I Love All Access tweeted some VILs (Very Important Links) so that you can purchase your VIP photo on various merchandise from Shutterfly! It’s a great opportunity to get your Archie friend a surprise gift (if you know what show they attended) or to get yourself something special with your picture with David. Great thing is, the summer tour VIP’s are posted too! Click the links below to access each menu of shows. Well it wasn’t difficult to choose this blog as my favorite this week. That special warm feeling I get every time I see and hear David always wins out. His charming thank you’s to his fans for all we have done for him endears me to him even more. We should be thanking you for giving us the greatest year in music we have ever had. Oh, by the way…does he not know his fans well…yes, some of us are mother hens! Last week’s Weekly Wrap is still newsworthy!